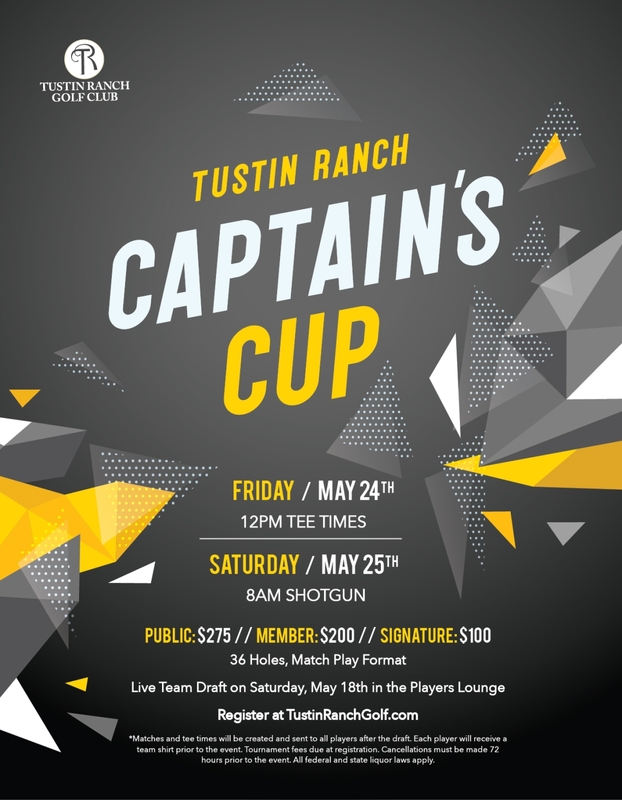 Join us for our first annual Tustin Ranch Captain's Cup. This two day, team match play event will one of the year's most fun events. Each player will be drafted on one of two teams and given a team shirt. *Tournament fees due at registration. Cancellations must be made 72 hours prior to the start of the event. Course is open to public/non-event play when a special event is not full field. Please check back for upcoming events. See What's Happening here.